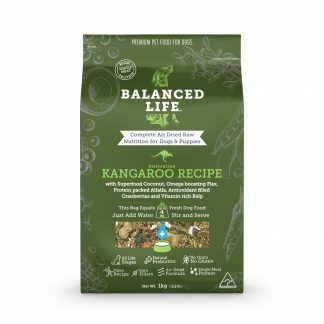 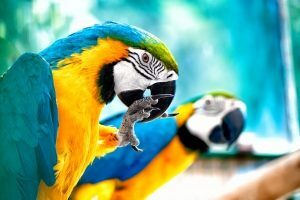 Balanced Life Enhanced Kangaroo Recipe for dogs combines grain free kibble with air dried raw meat pieces to provide a highly palatable high-protein, complete and balanced diet. The recipe contains premium kangaroo meat pieces and includes superfoods like alfalfa, coconut, cranberries and kelp. 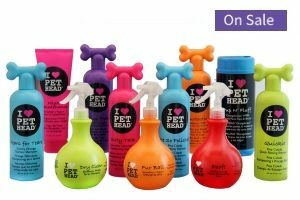 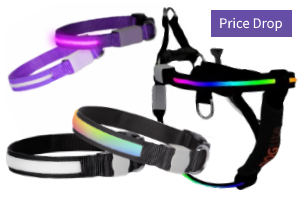 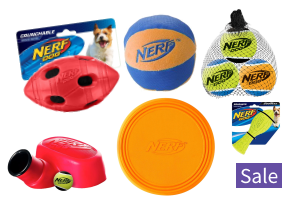 The Balanced Life Enhanced range is suitable for dogs of all ages. Made in Australia, Balanced Life foods and treats are air dried for maximum nutrition and packed with the best healthy, natural Australian ingredients. 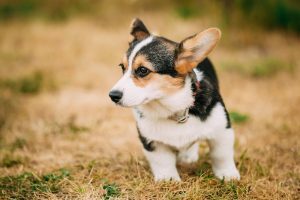 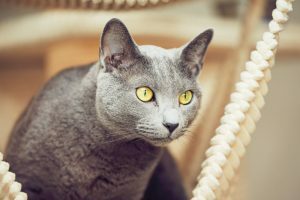 The cooking process in many pet foods and treats destroys some of the nutritional value, particularly antioxidants and Omega 3 and 6 essential fatty acids. 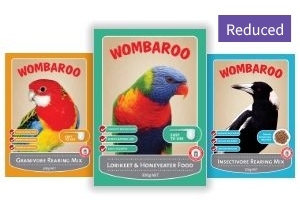 Air drying fresh ingredients minimises food processing and maximises nutrition. 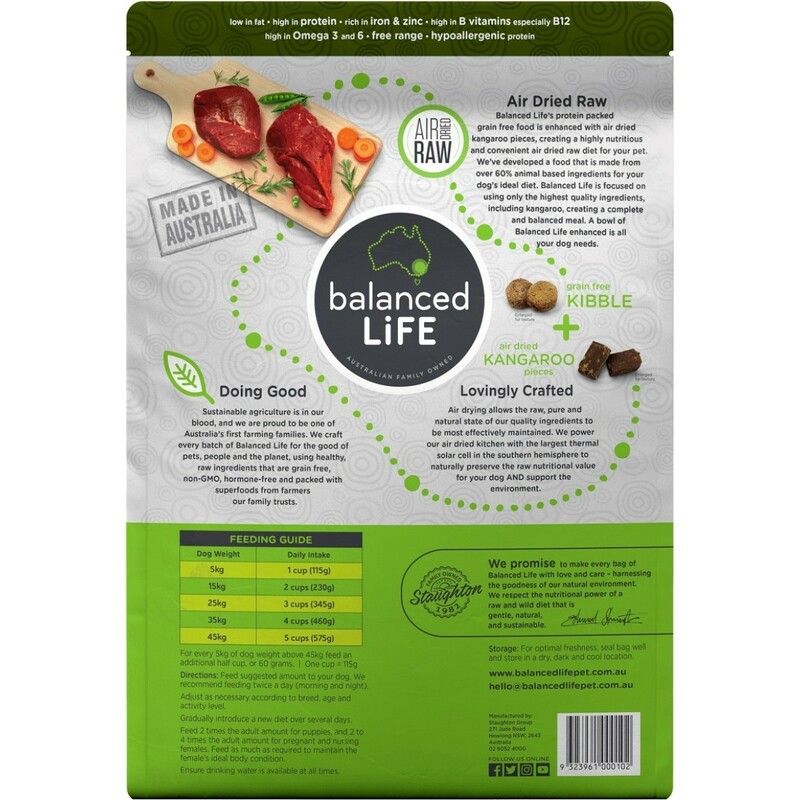 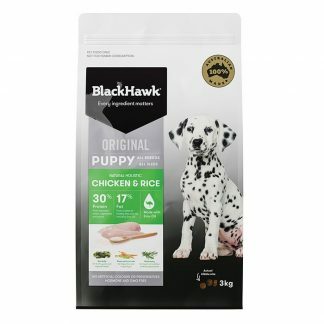 The Balanced Life Enhanced range is Australia’s first super premium pet food that combines grain free kibble with air dried raw meat pieces to provide a highly palatable high-protein, complete and balanced diet. 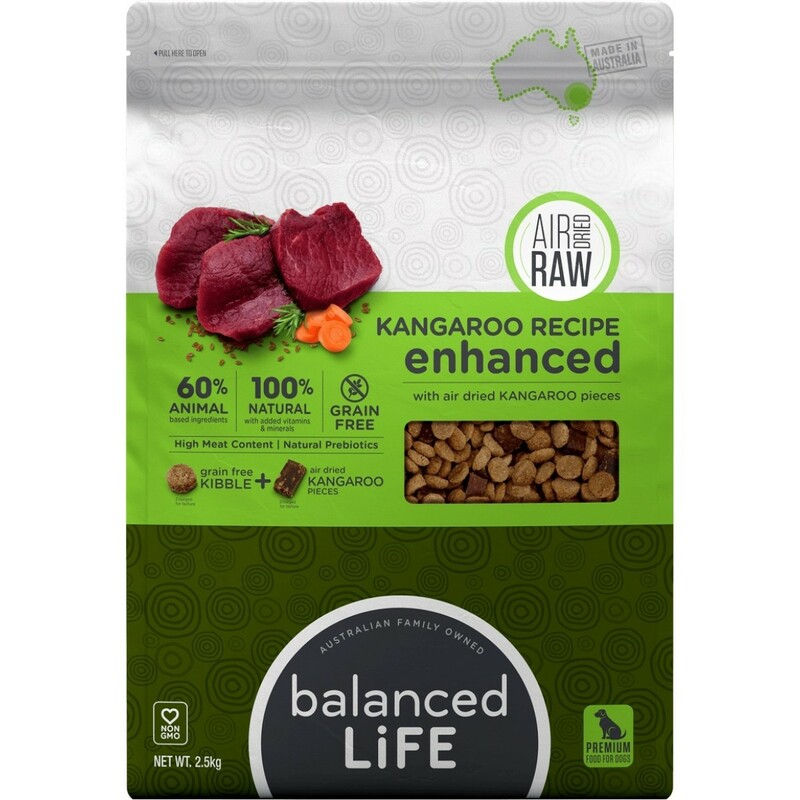 The Kangaroo Recipe contains premium kangaroo meat pieces and includes superfoods like alfalfa, coconut, cranberries and kelp. 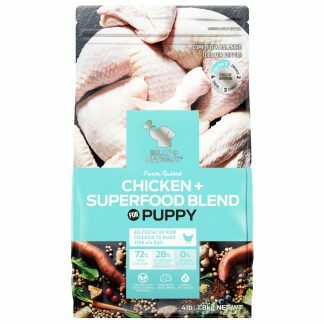 Free range, low in fat but high in protein, iron, zinc, B vitamins especially B12 and Omega 3 and 6.